Today the City of New York named its first Chief Digital Officer. The term chief digital officer appears to have been first widely used by the advertising industry in 2007 to describe those individuals responsible for an ad agency’s digital services. In the not-too-distant past, clients had just a few expectations of agencies handling their digital marketing: build an easy-to-navigate Web site, create some catchy online ads and place the ads on relevant sites. But increasingly, knowledgeable marketers are demanding more of their new-media ad dollars, such as mobile-device campaigns and connecting with consumers through blogs. And those spearheading agency digital efforts are no longer just tech-savvy hipsters doing their own thing while the rest of the company goes about its business. Well, they may still be edgier, but they now have their own keys to the executive washroom. Several large agencies have named chief digital officers to fully integrate interactive into the services they offer. Among the recent examples: New York-based Ogilvy North America hired Jean-Philippe Maheu for its new CDO position. Arnold in Boston named Jonathan Sackett its CDO. San Francisco’s Goodby, Silverstein & Partners tapped Michael Parker as its new director of digital strategy. And Y&R, New York, appointed Tarik Sedky as its CDO to lead a new digital entity. Goodby’s Parker, who was managing director of Tribal ddb in Canada, says it’s time for senior-level agency positions focusing on interactive advertising. 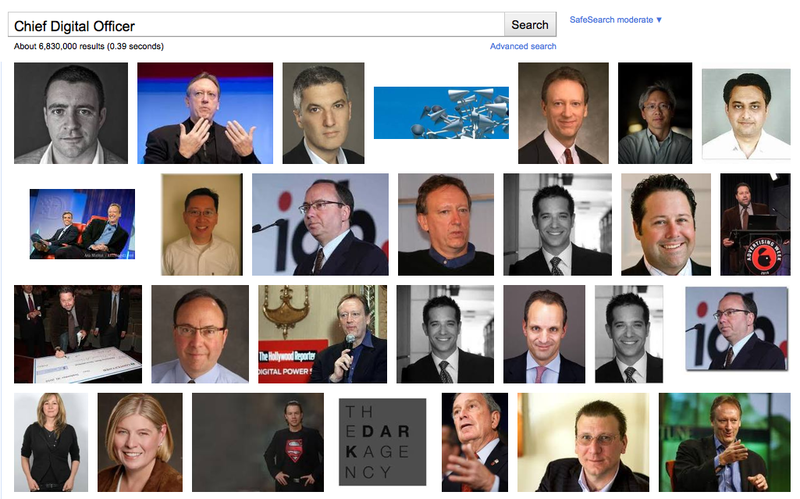 A Google image search for “Chief Digital Officer” produces a slew of Chief Digital Officers. Of all the possible terms that could be used to describe digital experts, Chief Digital Officer sounds like the one most likely to stand the test of time. This entry was posted on January 24, 2011 at 3:35 pm and is filed under Chief Digital Officer, Digital Expert. You can follow any responses to this entry through the RSS 2.0 feed. You can leave a response, or trackback from your own site.